Tactical emergency medical support (TEMS) is a critical component of the out-of-hospital response to domestic high-threat incidents such as hostage scenarios, warrant service, active shooter or violent incidents, terrorist attacks, and other intentional mass casualty-producing acts. 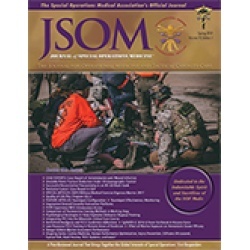 From its grass-roots inception in the form of medical support of select law enforcement special weapons and tactics (SWAT) units in the 1980s, the TEMS subspecialty of prehospital care has rapidly grown and evolved over the past 40 years. The National TEMS Initiative and Council (NTIC) competencies and training objectives are the only published recommendations of their kind and offer the opportunity for national standardization of TEMS training programs and a future accreditation process. Building on the previous work of the NTIC and the creation of acknowledged competency domains for TEMS and the acknowledged civilian translation of TCCC by the Committee for Tactical Emergency Casualty Care (C-TECC), the Joint Review Committee (JRC) has created an opportunity to bring forward the work in a form that could be operationally useful in an all-hazards and whole of community format.